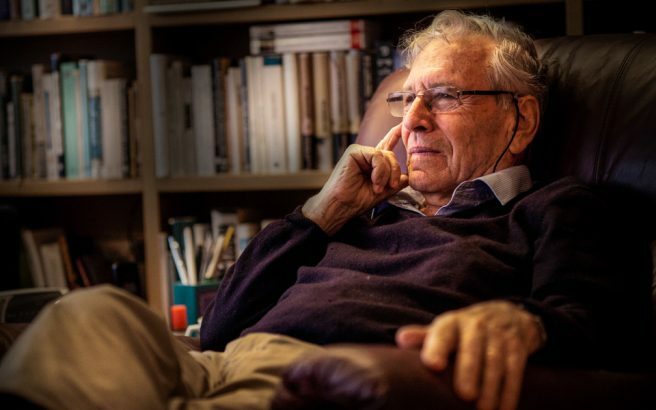 Liam Hoare writes in praise of Amos Oz, the Israeli novelist and public intellectual who died 28 December. Download a PDF version here. Martin Amis accurately described the sensation of browsing a library or bookshop, trying on writers like outfits, reading someone, and suddenly understanding that one must read everything this person ever wrote. It was in the spring of 2012, in the small English section of the library on Kibbutz Ein Hashofet, that this feeling overcame me. Novels like To Know a Woman (1989) and Black Box (1987)—and ultimately his 2002 masterpiece A Tale of Love and Darkness—opened up a world I had never known in a clear and yet lyrical prose that appeared as if it had been written for an audience of one. Oz began writing in precarious times, with Israel on the cusp of an existential war that would birth the political conditions in which he forged his reputation. Early stories and novels like Where the Jackals Howl (1965) and Elsewhere, Perhaps (1966) demonstrated a certain foresight, seeing the kibbutz’s fragility when superficially it seemed invincible, while My Michael (1968) and The Hill of Evil Counsel (1976) conjured Jerusalem, the city of Oz’s birth, as few others have. His finest novels were produced in the middle of his writing life. Black Box and especially Fima (1991) and Don’t Call It Night (1994) managed to encompass the whole of Israel from the majestic to the miniscule, all the while keeping human relationships at the centre of narratives full of doubt and scepticism, restlessness and uncertainty. That era was bookended by A Tale of Love and Darkness, one family’s tumult wrapped in historical saga; the end of Jewish Europe and the birth of Jewish statehood—a book that, among its many qualities, unlocks the rest of Oz’s novels. In later stories he returned to places and pathways he had walked before in his novels and dreams: Jerusalem and the kibbutz. 2012’s Between Friends, interwoven stories set on a kibbutz in the 1950s, is perhaps my favourite of his novels, each section a character study that accentuates the loneliness and isolation hidden beneath the artifice of collective living. An Amos Oz sentence is unmistakable, though with time his prose became pared down, more succinct and economical. He managed to say more with less and did not suffer the fate of so many other novelists: the loss of literary gift before the loss of life. The twentieth century, as Christopher Hitchens observed of Sontag as well as Orwell, Camus, and Solzhenitsyn, often forced writers to ‘quit their desks and their bookshelves and to enter the agora.’ For Oz, who served in wars of life and death in 1967 and 1973, this was more than an allusion. Right until the end, with Dear Zealots (2017), Oz remained a committed public intellectual. His essays, especially 1967’s ‘The Meaning of Homeland,’ stood for a form of socialist Zionism centred on the redemption of people and not land, that was muscular yet humanistic, forward-facing but rooted, both visionary and realistic. He contributed metaphors for the Israeli-Palestinian conflict that have become part of popular discourse, most famously, that of the two sides as a divorcing couple who, nonetheless, must find a way to cohabit the same house. An advocate of two states for two peoples, Oz is not the first prophet to see his vision go unrealised. In the Land of Israel (1983) remains one of the great portraits of the country akin to Grossman’s The Yellow Wind or Amos Elon’s The Israelis. Its conversations covered the spectrum of dreams and nightmares, fears and emotions that rattled post-‘67 Israel. 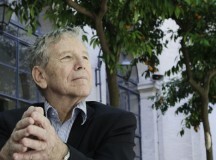 I feel fortunate not only to have read Amos Oz but to have been able to meet him too. It was his daughter, the historian Fania Oz-Salzberger, who first suggested the idea. I was trepid on the principle that one should never meet one’s heroes in order to avoid disappointment—a fool’s caution, as it turned out. The large windows of Oz’s study in his Tel Aviv apartment granted views north along the coastal plain towards Herzliya. On a January afternoon in 2016 with the sun setting beyond the Mediterranean’s edge, Oz and I sat over coffee discussing his life and work, looking back but also forward in anticipation of the English translation of Judas (2014), for almost two hours. I tried to cover as much as possible—too much, perhaps: Jerusalem and the kibbutz; Oz’s favourite of his own novels, The Same Sea (1999); his prose style and the Hebrew language; and of course (though I wanted to keep it in the background) contemporary politics. Oz was welcoming from the off. He was warm and engaged, generous with his time, more than happy to indulge my curiosity but at the same time, as any teacher should, willing to correct the grammar of my questions when necessary (for example, when I called A Tale of Love and Darkness a memoir, which he insisted it was not, or used the word fiction, which he hated). This conversation was one of the great pleasures of my writing life. 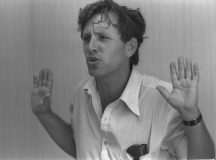 We would meet a final time a year later at an event held in Tel Aviv for a book of conversations with his editor Shira Hadad, What is in an Apple? (2018, Hebrew. For an English translation of one interview see here). As I await the English translation, what is left is a deathly silence. As we go through life trying on writers like outfits, Oz was the one that fit. I often thought, undoubtedly rather conceitedly, that no one could have derived greater pleasure from opening a new Amos Oz novel and hearing its sentences sing for the first time than I did. Writer, reader, dreamer, Oz’s prose did indeed make life better and deeper, more intense and wonderful. Now the world seems denuded—deprived not only of his perceptiveness and moral clarity but the opportunity to hear it pronounced. Yet for a writer the end is not quite the end. 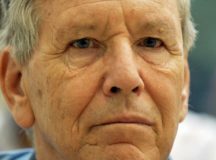 Amos Oz witnessed the birth of the State of Israel, fought twice to defend it, loved it even when he didn’t like it, and shaped its politics and its rich and ever-evolving language. From my desk I can see a half metre of paperback books bearing his name that will be a source of truth, beauty, and wisdom forever.